Iraq’s historic Southern marshes, a spectacularly beautiful haven that brimmed with wildlife, was a jewel in Iraq’s crown. Now it faces permanent extinction, the victim of a man-made campaign to destroy it and the way of life of its indigenous people. AMAR came into being at the height of Saddam Hussein’s reign to help those men, women and children, fleeing his army’s deadly assaults on the Mesopotamian Marshlands. In fact, the AMAR name comes from Assisting Marsh Arabs and Refugees. The region was home to half a million fiercely proud inhabitants. Now, numbers of Ma’dan (marsh inhabitants) are as low as 20,000. Today, AMAR is backing the ongoing campaign to have the region recognized as a protected UNESCO world heritage site. The survival of the marshes, and their populations, has been threatened repeatedly over the decades. First, in the 1950s, by the draining of their land for agriculture and oil production. Then, in the 1980s and 1990s, by Saddam’s mass eviction of Shia Muslims in the South. And now, by drought and the creation of regional dams in Turkey, Syria and Iran. 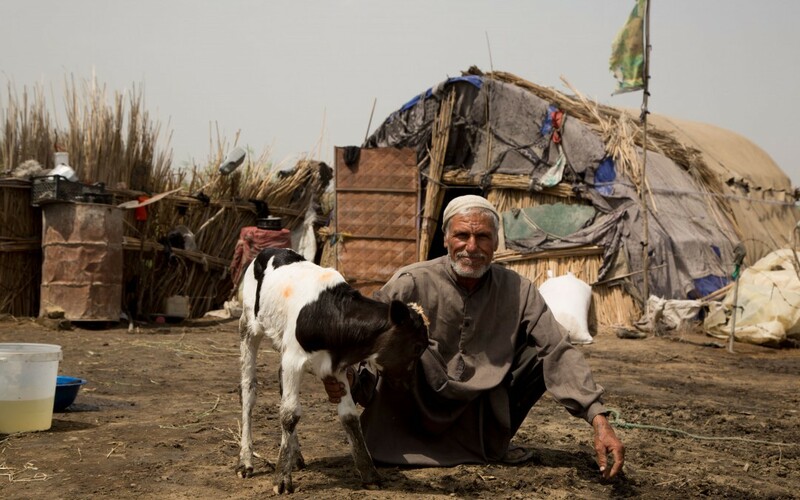 By the end of Saddam’s reign the marshes had been drained to 10% of their original size and hundreds of thousands of Shiite Marsh Arabs had been forced to flee religious persecution, many to Iran. ISIS has also contributed to the demise of the marshes by controlling the flow of water behind dams seized in Mosul and Ramadi. Since 1991, AMAR has been helping to rebuild the lives of Iraq’s most vulnerable communities including the Marsh Arabs of the South, offering emergency aid, education and primary medical healthcare. AMAR’s multiple educational and health initiatives in the South are helping to alleviate the effects of poverty in Iraq’s dispersed Ma’dan communities. Mobile health clinics visit families in hard to reach areas, offering both primary medical care as well as preventative health measures like polio and cholera vaccinations. Educational initiatives offer a combination of schooling for children and vocational skills for adults. The Marsh Arabs had developed a unique way of living that was closely intertwined with the wetlands and their natural resources. They lived in reed huts and their livelihoods and continued existence were dependent on the marshes. They fished, bred water buffalo and cultivated crops such as rice, barley and wheat. Now though, many families have been forced to leave the region to look for work elsewhere. In the aftermath of Saddam’s reign, AMAR’s Heritage Project worked to rebuild the legacy and identity of Iraq’s Marsh Arab communities. It increased public awareness of the Ma’dan peoples’ unique culture and their ongoing hardships, through the education of thousands of school children and adult learners. “AMAR is helping to challenge the detrimental effects that the collapse of the marshlands has had on the Marsh Arabs, their prosperity and culture,” said Baroness Nicholson of Winterbourne.